Now that's an impressive session. 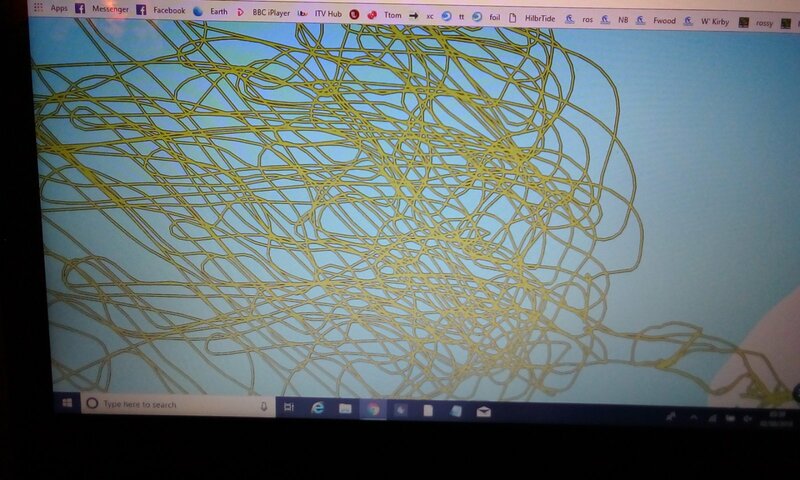 Your GPS tracks remind me of a line tangle I had last week. Gear: Cabrinha Drifters 7, 9, 11. Firewire Dominator surfboard (quad), no straps. SS SpacePickle adapted to foil (LF Foilfish foil), two foot hooks, front and back. Very cool. Wow, 5h, 31 mile session. Impressive. I'll just keep my far inferior GPS traces to myself. Last edited by liv2surf on Sun Sep 09, 2018 10:11 pm, edited 1 time in total. Very cool. Wow, 5h, 31 mile session. Impressive. 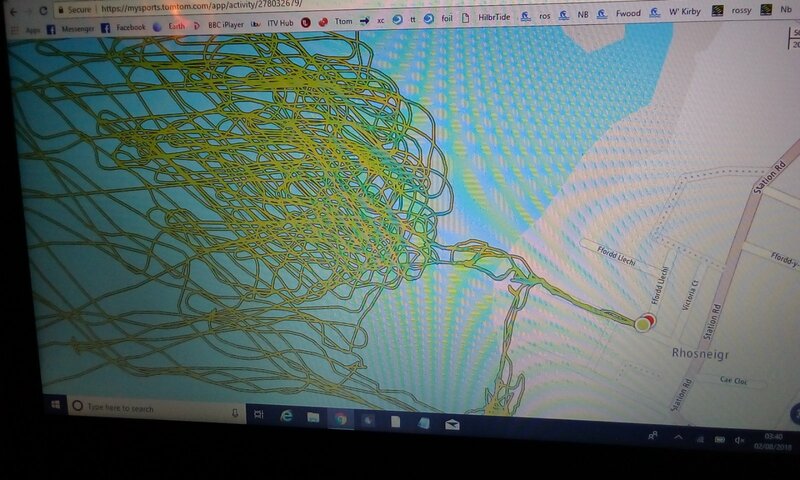 I'll just keep my (inferior) GPS traces to myself. I'm doing 10-13 mph (17-20 kmh) average session speed according to my Suunto Ambit, on my Onda 633. Careful! you almost fell off the edge of the world at one point there. my 31 mile 5 hour session was done on my wave wing 633 in a wave bay so speed was not a target.just fun carving and riding on smooth wave sets.